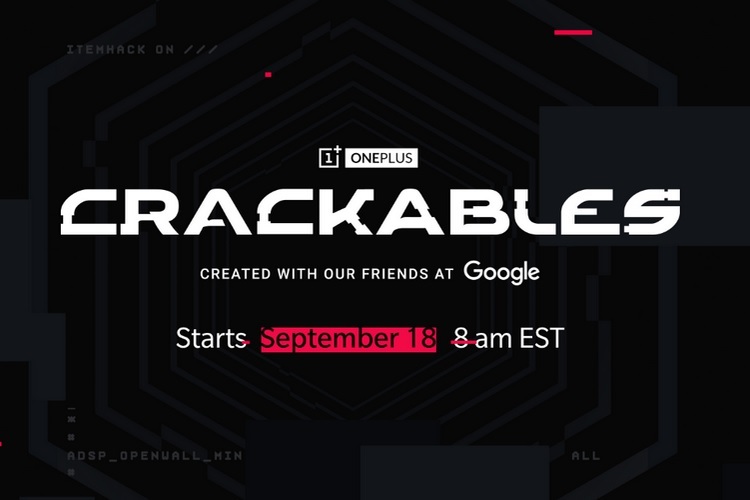 OnePlus is all set to unveil a new mobile game called Crackables which has been developed in collaboration with Google. Crackables is an Android-based cryptographic puzzle game that will require a combination of speed and skills to progress to higher levels, and interestingly, the puzzles will be both digital and physical. Developed by Sleep Deprivation Lab, Cracakbles will go live at 5:30 PM IST (08:00 AM EST) tomorrow on the official website. Crackables will follow an eSports tournament model in which the first 1,000 players to ace the first 3 challenges will be eligible to play the next levels. OnePlus will send all the qualifying players a microcontroller that will help them play the subsequent levels. All those who qualify through the levels stand a chance to win the grand prize, which is ‘an ultimate gaming setup’ worth $30,000. Crackables is a mobile-only experience and will be available from the Crackables website starting September 18th, 2018. We are taking our time to explore the gameplay, but OnePlus has also released a teaser video which shows an in-game character helping players break through the security walls of ‘The Cube’ by solving the cryptographic puzzles. The company is also offering an early access to Crackables to a small section of users, but do keep in mind that if you register for the early access program, you will automatically be disqualified from winning the grand prize because the game is time-limited. Besides the gaming setup, while ‘many other mysterious prizes’ will be awarded to players who claim the second and the third spot. So, clear your schedules, keep your smartphones charged and bring your best to the Crackables challenge, because who knows, your sharp brain and quick reflexes might net you a cool gaming rig.